The 2019 Georgia General Assembly session us now underway. Scott Maxwell, legislative liaison for GPHA, will provide periodic reports on legislative activity concerning public health throughout the state legislative session. 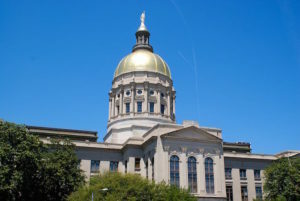 Workforce development, including enhancements to recruitment, retention and succession efforts, with particular emphasis on Georgia Public Health Laboratory positions, where market rate salaries are urgently needed, along with additional environmental health personnel across the state. Incentives, such as service-cancellable loans, for primary care professionals to practice in Georgia, especially in rural areas. Removal of Georgia-specific restrictions on scope of practice for APRNs to the full extent of their required education and training. Enhancement of telehealth, telemedicine and teledentistry programs, including facilities and infrastructure improvements, with an emphasis on further developing telehealth technological capabilities statewide. Adequate cadre budget funding to attract and maintain competent leadership positions in District Public Health Offices. Early detection and treatment of autism spectrum disorder, and programs to enhance early brain development so that Georgia’s children may reach their full potential. Filling staff positions required for the full implementation of 2017 legislation creating Cardiac Care Centers. Expanded authority to more widely share health data related to opioid abuse in an effort to battle that epidemic. Looking for a recap of the 2018 legislative session? Click here to view an archive of legislative reports for 2018.